Amanda is a teacher for the Two’s classroom. She has experience working in child care centers and as a nanny. She loves watching children have fun while learning. Her favorite time of the day is watching the children run and play together outdoors. Amanda’s favorite children’s book: “The Little Mouse, The Red Ripe Strawberry, and the Big Hungry Bear”. (Praise God I am blessed to be a 15-year Survivor) and college football! My favorite children’s book is, “Goodnight Moon” by Margaret Wise Brown. April is the Academic Director at Mt. Elizabeth Academy. She has worked for 25 years in public education in the areas of teaching, counseling, and administration. She has experience working in elementary as a teacher/counselor and secondary as a counselor. 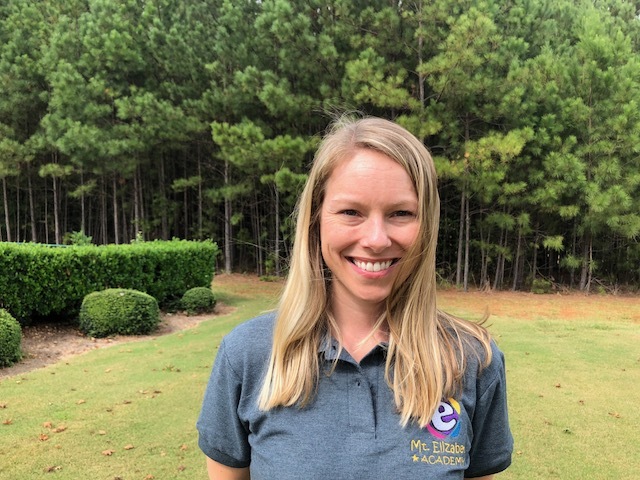 April is excited to work with students this age because current research states that the overwhelming determiner of how a child does in school is how much they know before they start pre k. Her favorite time of the day is in the morning when all the kids are getting to school. It is a bright new day full of potential. Unlocking each child’s unique potential, talents, and gifts is her passion. April’s favorite children’s book: “The Kissing Hand”. Ms. Carol is part of our support staff team. She has worked in preschool settings for over 9 years, teaching or assisting every age group. She has also set up two curriculums for her church. Her favorite part about teaching children is seeing that “WOW” expression on a child’s face when they discover something new. She has lived in Georgia for 31 years. Ms. Carol has two grown children, one granddaughter, and two dogs. She and her husband enjoy helping the environment and walking their dogs. Ms. Carol’s favorite children’s book is, “The Little Old Lady Who Was Not Afraid of Anything” by Linda Williams. Cecile’s favorite children’s book: “The Earth Book”. Ms. Christi is the opening receptionist at Mt. Elizabeth Academy. She has worked for many years as a substitute teacher here in Georgia and in her home state of New Jersey. She was also a nanny for several years for three little girls and she has raised 4 daughters of her own. Her own daughters are now grown and living all around the country in Wisconsin, California and New York. Her youngest daughter is currently a senior at Kennesaw Mountain High School. She started her professional life as a paralegal but feels fortunate to have been able to stay home when her daughters were school age. 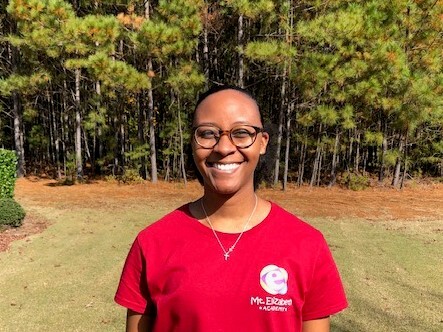 Through her active volunteering in Girl Scouts and the Home & School League, her daughter’s elementary school came to know her and asked her to become one of their substitute teachers. This is how her career in education began. Her philosophy in education grew from her own children’s experiences. She has learned that each child learns in their own way and in their own time. All children are unique and should have a stimulating environment where they can grow physically, mentally, emotionally, and socially. Her favorite book is The Lorax. Corinne’s favorite children’s book: “Stellaluna by Janell Cannon”. Emma is originally from Haiti. She is fluent in English, French and Creole and has joined Mt. 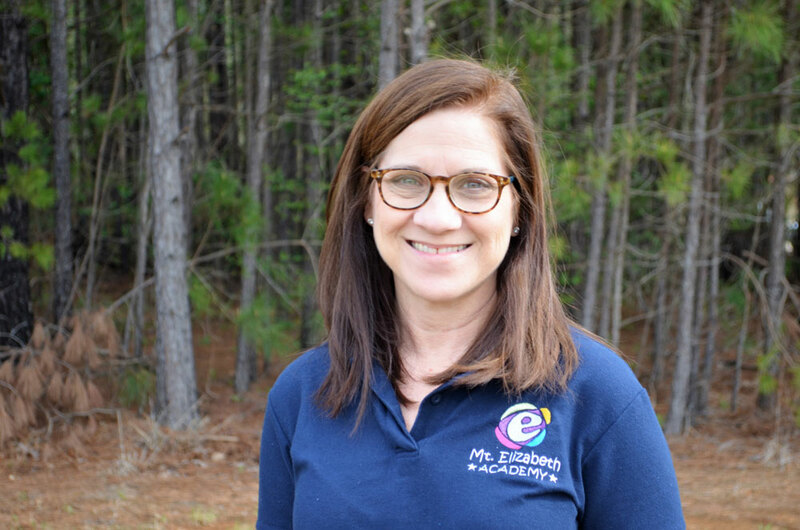 Elizabeth Academy as a teacher assistant. Currently, Emma works with the infants and the toddlers during the afternoons. Emma is a sophomore in college and wants to pursue a career in pediatric nursing. Emma has been a babysitter for over 7 years as she loves taking care of kids because they are so joyful and pure. One of her favorite things about taking care of kids is making them feel very special and loved and she believes that all children should feel this way. Emma’s favorite book is “La Petite Sirène” (The Little Mermaid). Growing up, her mother read it to her every night before she went to sleep. Jennifer is excited to be joining the Mt. Elizabeth team. She is originally from Pennsylvania, and has lived in Georgia for the past 22 years. She is married and has two grown boys. Jen has always had a great passion for the caring and nurturing of young children. Her background experience is in the medical field. She has also been a personal nanny to several families over the years. Being a mother herself, she understands the importance of a safe, happy and loving environment in which children can grow and develop successfully and to their full potential. Ms. Jessica is an afternoon teacher in the Toddler 2 classroom. She currently pursuing a degree in early childhood education in hopes of one day leading her very own classroom. She has always had a passion for working with children and has known since she was young that she wanted to help be a part of their growth. She has three years of experience working in early childhood, ranging from infants to kindergarten. She also has three years of additional experience working in her church’s nursery and toddler rooms in Florida. A philosophy she has held on to through her experience in early childhood is, “What children learn is just as important as who they become.” She believes we as educators play an important role in teaching children through nurturing guidance, techniques and skills that they will carry with them into real-life situations from now and into their future. Ms. Kate Ettinger is a Pre-school teacher. She is originally from the state of Utah but moved to Georgia six years ago. In her free time she enjoys reading a good book or being outdoors with her dog, Khaleesi. She also just began volunteering at a therapy horse farm and she is really enjoying her time there as well. She has always had a huge heart for children and the joy they bring into the lives of those around them. 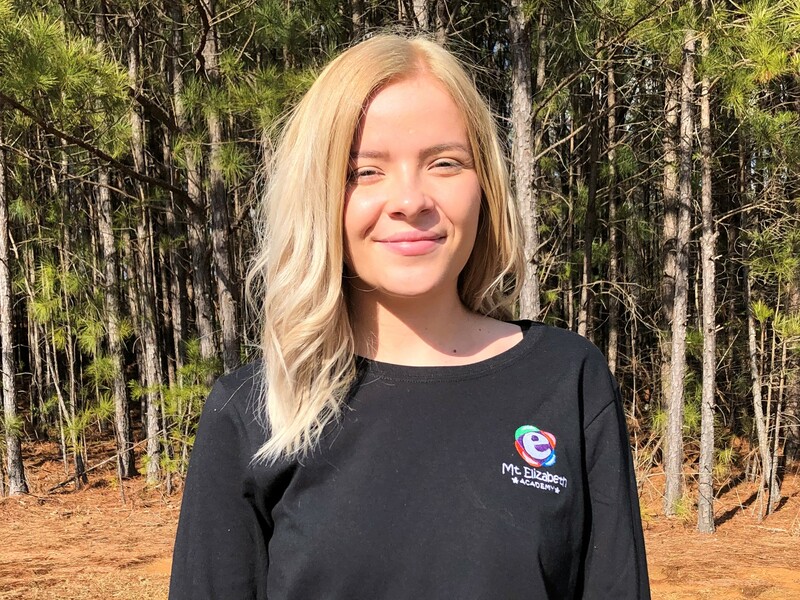 She began regularly babysitting when she was just 13 years old and from then on she knew that she wanted to become an Early Childhood Educator. Two years ago, she began her professional journey as a toddler teacher and absolutely fell in love with the age group. She is very excited to continue to teach the little ones at Mt Elizabeth. 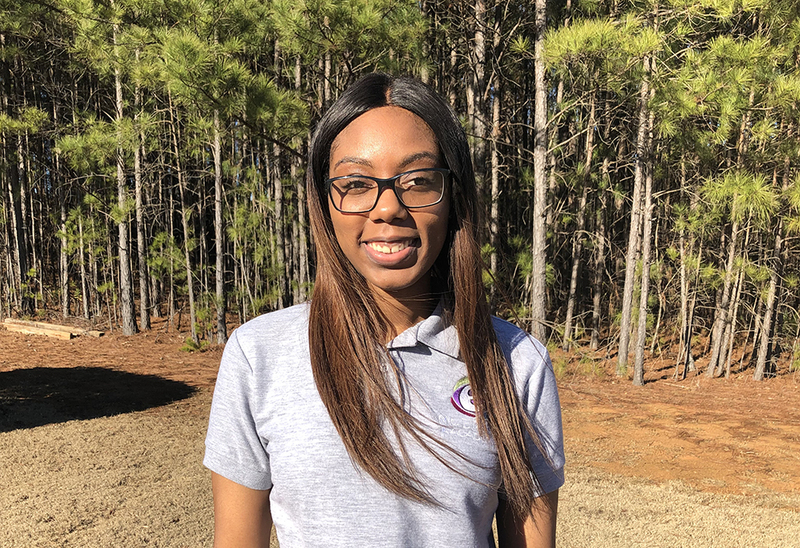 She graduated from Kell High School and hopes to pursue a college degree in Early Childhood Education. Her favorite children’s book is “You are Special”, by Max Lucado. Ms. La Toya is the closing supervisor at Mt. Elizabeth Academy. 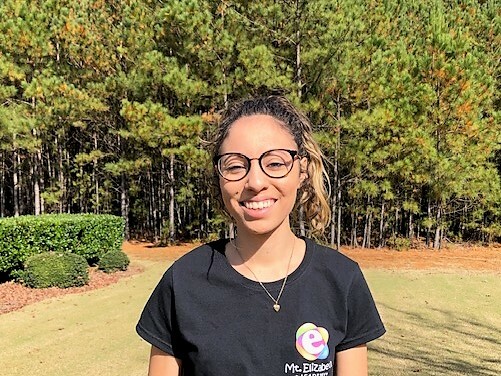 She attended high school in Westwood, NJ but moved to Georgia her senior year and graduated from Riverdale High School in Riverdale, GA. She has 5 yrs of center based experience, where she was an infant teacher for a year. She was then asked to join the management team and work in the office. After working in the center She became the personal nanny of two lovely infant boys. La Toya and her husband have 3 children; 2 boys and a girl. She believes that children learn and thrive when they are in a loving environment, allowed to make mistakes, and use their imaginations to explore. Her favorite book is Dancing in the Wings!! Lora is what we call a ‘floating teacher,’ which means that she rotates trough many of our classes. 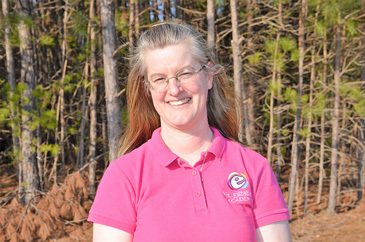 She is from Cartersville, Georgia and has been working with children since 2012. She served as a camp counselor for the Booth Western Art Museum summer camps, worked as an ambassador for Experience UGA, and has been babysitting for almost 4 years. In December, she graduated from the University of Georgia with a degree in Wildlife Biology. While there, she served as an ambassador for the Warnell School of Forestry and Natural Resources and was a member of several clubs and organizations. She plans on attending graduate school to study Wildlife Ecology (specifically birds – she loves anything with a beak and two wings!) and would like to eventually become an environmental educator. She hopes to foster an appreciation for all aspects of learning in the classroom. Lora’s favorite children’s book: “Stellaluna” by Janell Cannon. Ms. Olivia works at Mt. Elizabeth Academy as an After School Program teacher. Ms. Olivia officially began working in childcare after high school when she was nineteen years old. She was caring for children from 3 months to 12 years, however, she has loved working with little ones for as long as she can remember. 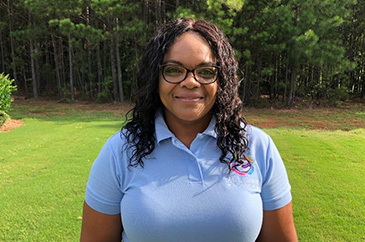 She has attended numerous training events in the child care field and hopes to continue learning new ways to cultivate children’s natural spark for life and learning. She believes that every child has unique and special abilities that need the chance to flourish. Patricia’s favorite children’s book: “The Little Engine that Could”. 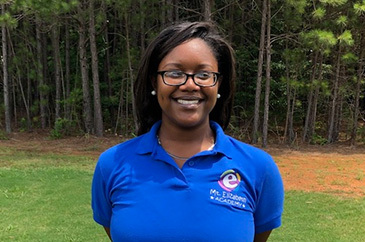 Ms. Raina is an afternoon teacher at Mt. Elizabeth Academy. She recently graduated with Honors from Florida A&M University in Tallahassee, Florida. In the near future, she plans on going to graduate school for Pediatric Occupational Therapy. 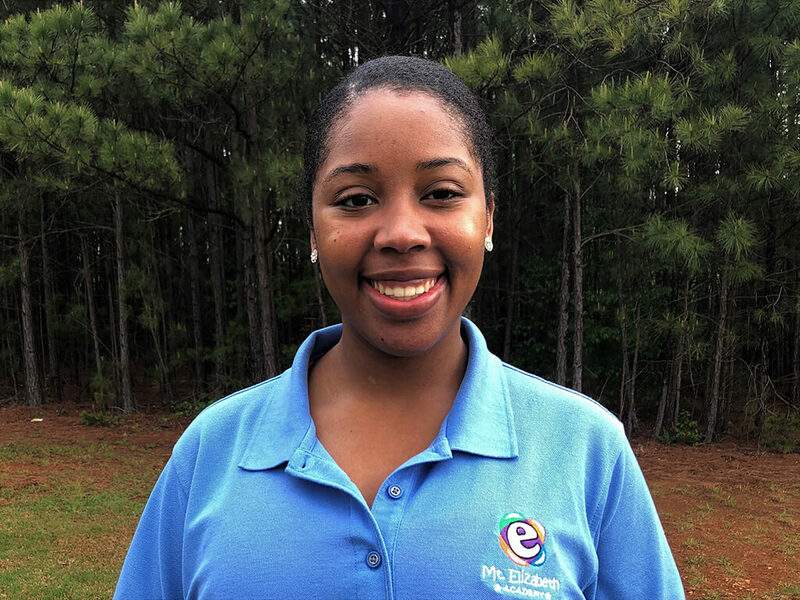 Ms. Raina has 6 years of childcare experience varying from infants to teens. 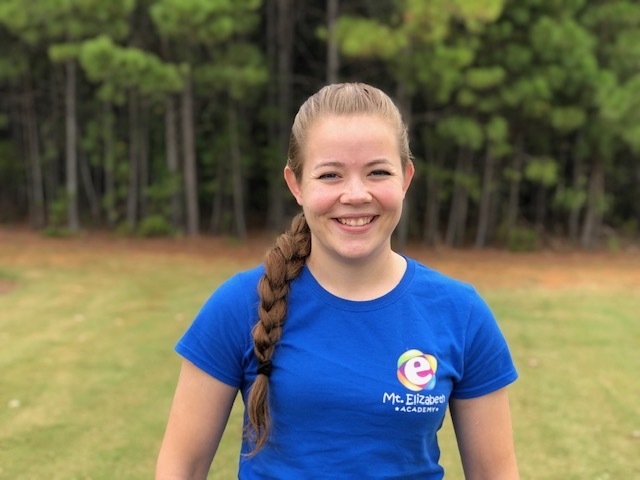 While attending school, she worked at the YMCA Kid’s Zone and has had the opportunity to be a camp counselor, mentor and tutor for the past two years. One of her favorite quotes from Maya Angelou is, “I’ve learned that people will forget what you said, people will forget what you did, but they will never forget how you made them feel.” Even from a young age I find that it is important to instill values that will last a lifetime, treat others with kindness and understanding, and remember that every day is a fresh start to do even better! My favorite childhood books are the Junie B. Jones series by Barbara Park. Ms. Regina (Ms. Gina) is from a small town in Connecticut. She moved to Georgia after she graduated from high school. She works as an Assistant Teacher in the Toddler 1 room. She has worked with kids for many years. She has been a dedicated babysitter for several families in Connecticut and was privileged to watch many of the kids grow up into Middle School students. She has also worked as a teacher to third graders for two years, teaching CCD. 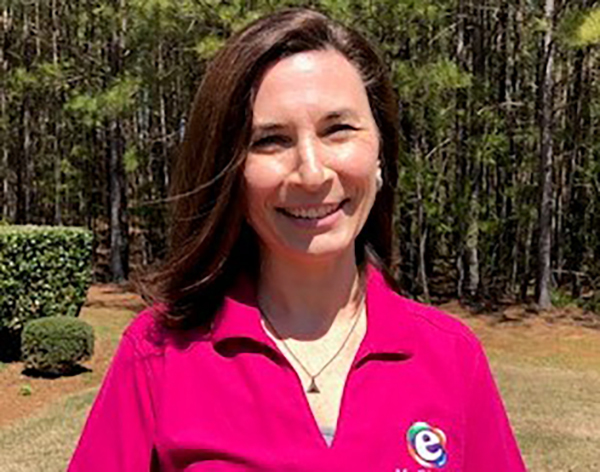 When she moved to Georgia, she started working as a live-in nanny, taking care of two little boys. Working with kids is been a great passion of hers. She will be soon starting college to work on a psychology degree. One of her main teaching philosophies is to make sure to get to know all the kids, each getting enough attention so they all feel special. Her favorite books are anything written by Dr. Seuss’s books. She first learned to read from Dr. Seuss books and they will always hold a special place in her heart.